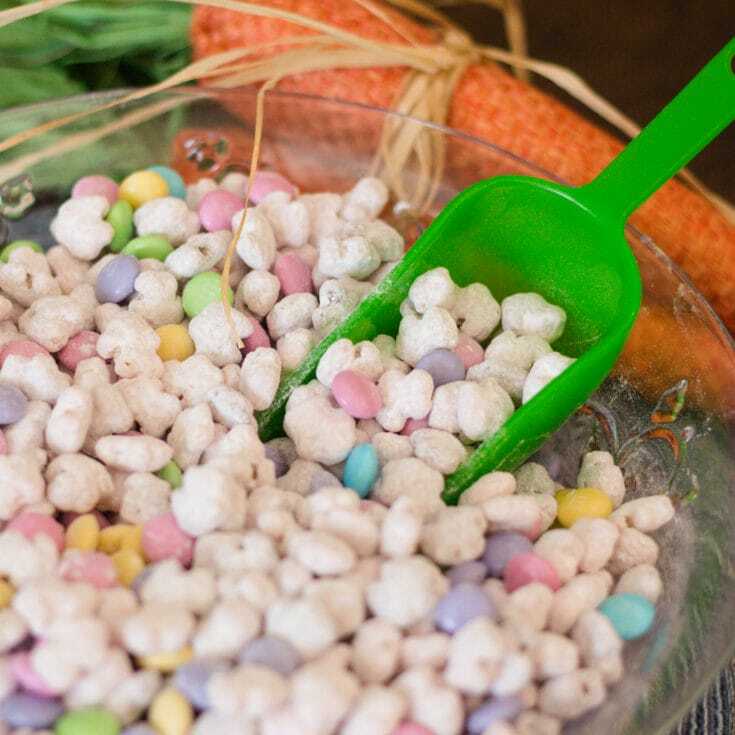 Bunny Chow, a Candy Coated Cereal Snack Mix that you can’t keep your hands off of. Celebrate Easter with Bunny Chow, a fun snack! 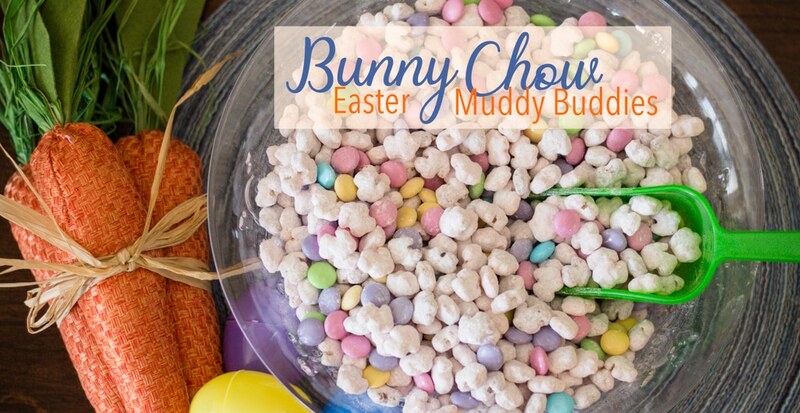 We really love Muddy Buddies and why not celebrate holidays with Themed Muddy Buddies like Bunny Chow! Annie’s Organic Friends Bunnies cereal are bunny shaped Oat, Corn and Rice Cereal. 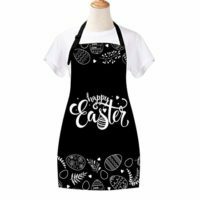 What a fun way to celebrate Easter if you ask me! How are Muddy Buddies Made? 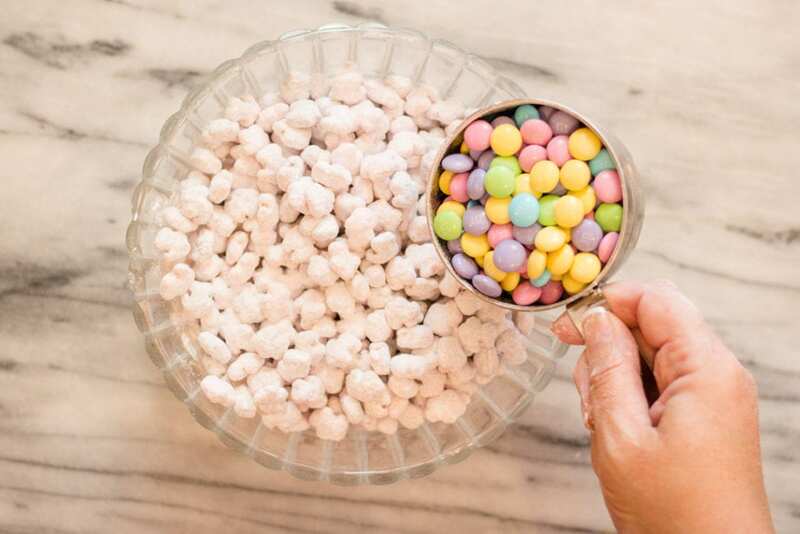 Muddy Buddies are made by coating cereal typically in melted chocolate or a melted candy coating and then dusting in Powdered Sugar. 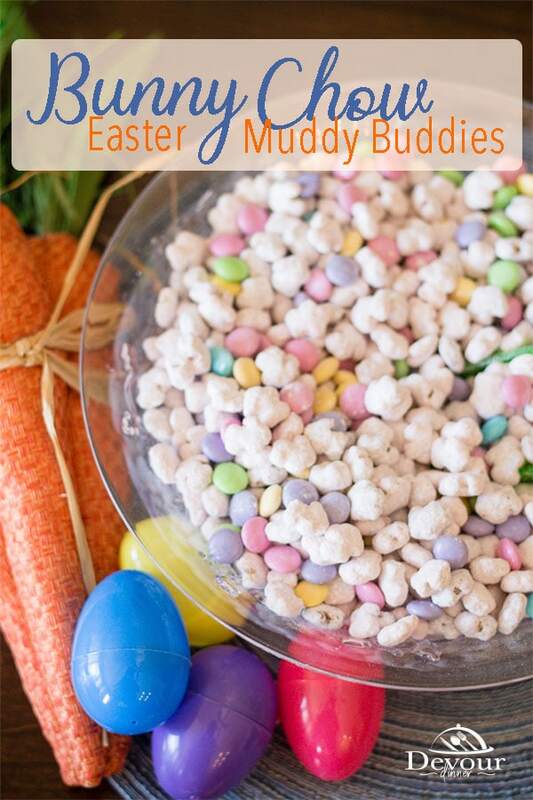 Chex has made Snack Mixes Famous, and we love to make all kinds of Chex Muddy Buddies. 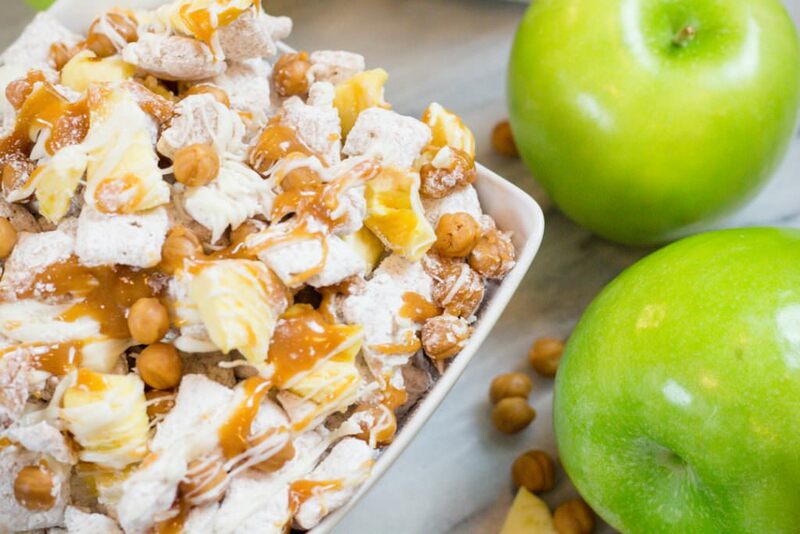 Apple Pie Chex Mix is absolutely delicious and a keeper of a recipe for sure. 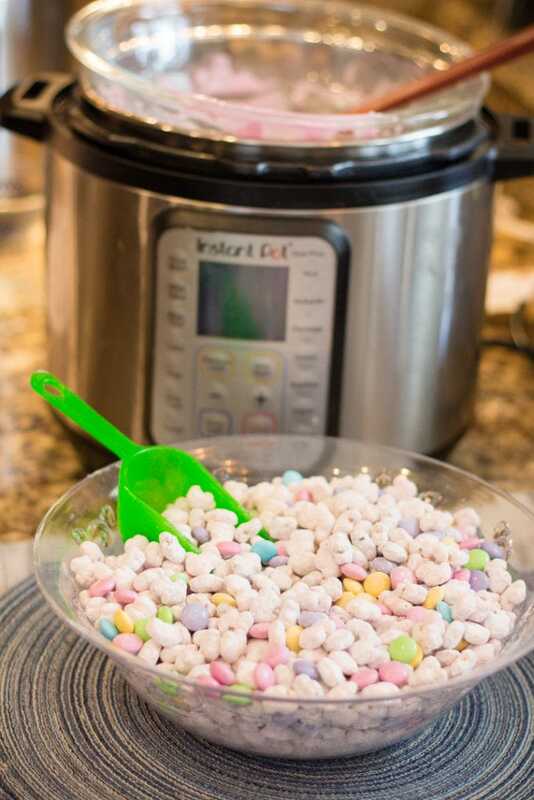 I LOVE LOVE this trick with the Instant Pot. 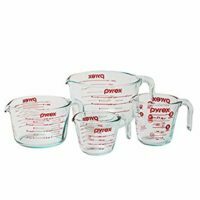 Add 4-5 cups of water to your Instant Pot and set to Saute’. 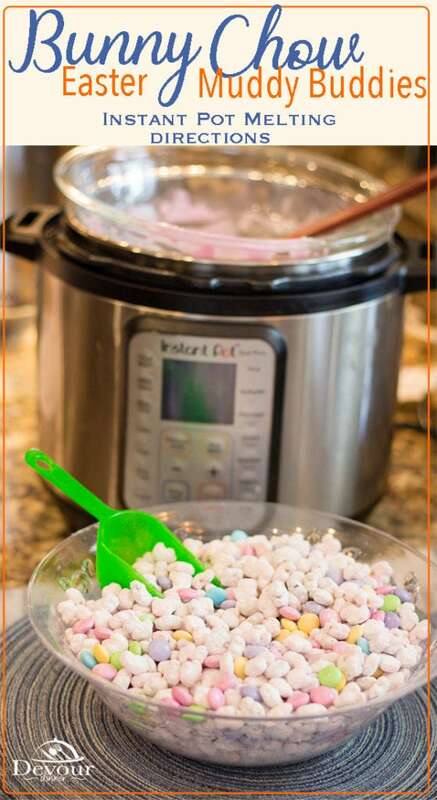 Place a larger glass bowl on top of your Instant Pot and pour your chocolate pieces or candy wafers in the bowl. The steam that is created will melt the chocolate. Stir until melted and pour over cereal until it’s all coated. Dust in Powdered Sugar and add chocolate candy pieces. This is easy. 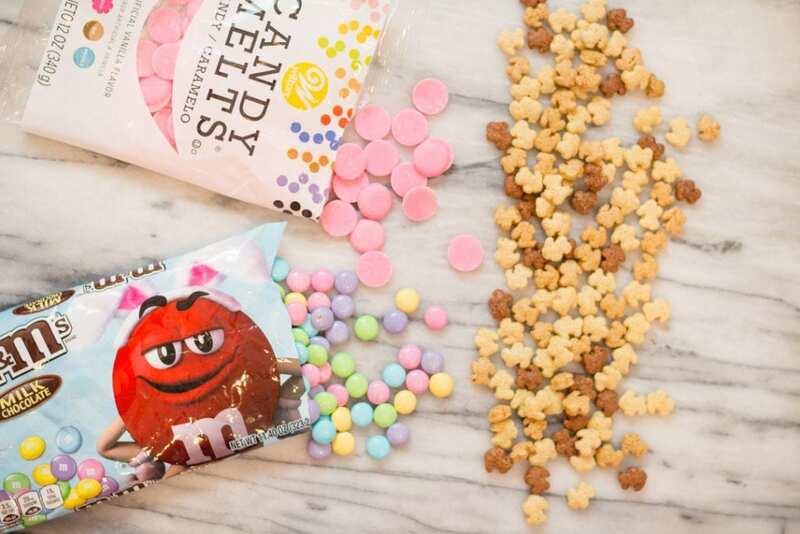 Muddy Buddies can be made with any cereal and melted chocolate or melted candy wafer. Then dust in powdered sugar and you’ve got Muddy Buddies! How Long will Muddy Buddies stay fresh? Honestly, it would be strange for this Snack Mix to not be devoured the day it’s made. 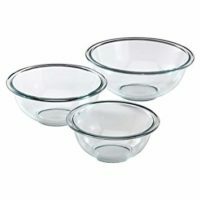 But if it does last, you will be surprised to know that it can last sealed in a zip-loc bag or air tight container for up to 2 weeks. Is Bunny Chow a Muddy Buddy? Sure it is! 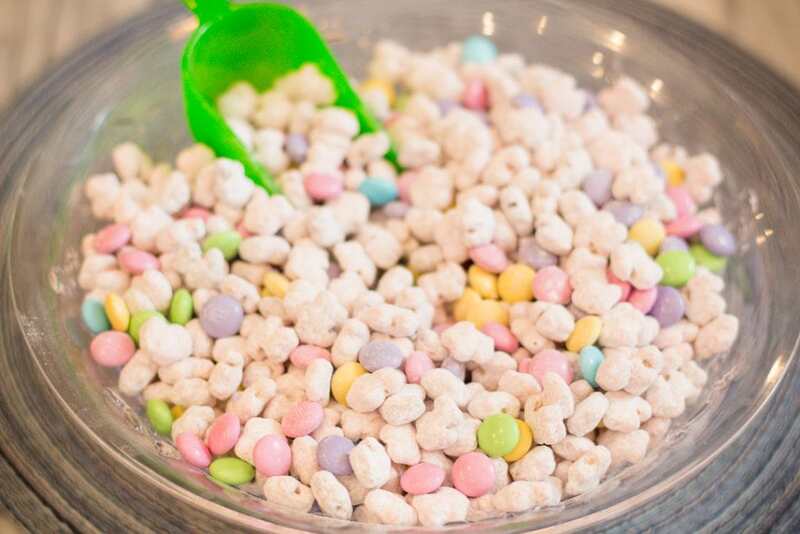 It’s cereal coated in melted chocolate or melted candy wafer dusted in powdered sugar. Can’t go wrong celebrating Easter with Bunny Chow. We’ve got more great Snack Mixes! 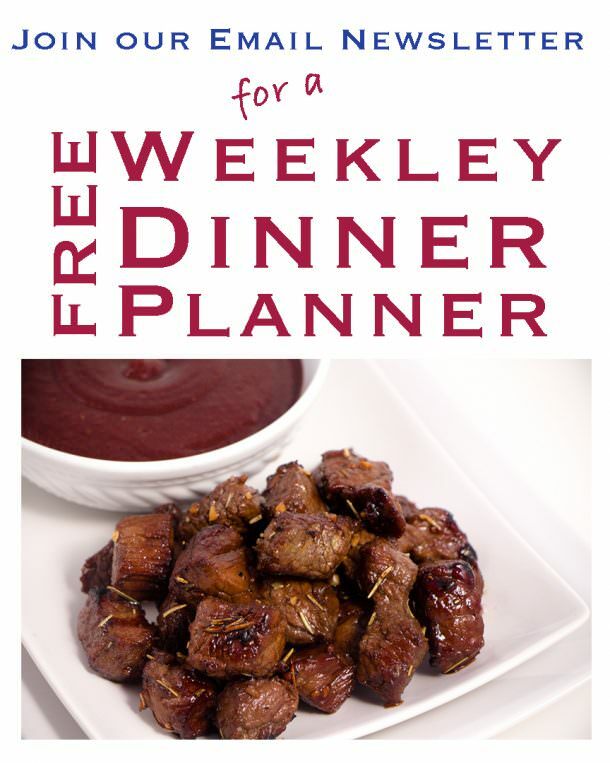 Take a look and Save these recipes too! 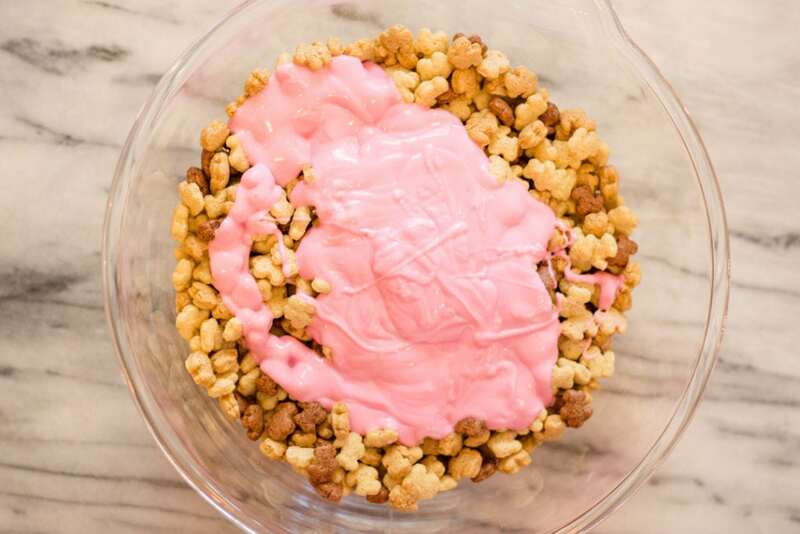 Bunny Chow, a snack mix perfect for Easter with chocolate candies and Bunny Cereal. 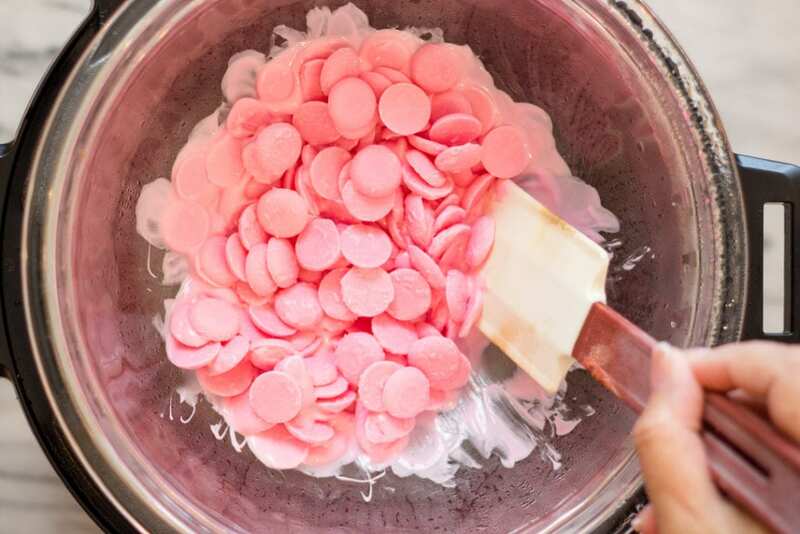 In a microwave safe bowl add Candy Wafers and Microwave for 2 minutes, stirring every 30 seconds until smooth.